It is not often we get to make animation that directly impacts on the lives of thousands of people. So when Joanna and Bee Tin from ITE College Central contacted us to promote the school’s under-utilized bursary for needy students, we were happy to say yes! Joanna shared how more than half of the student population who qualify for the scheme do not access the funds as they were simply not aware of their privileges. As professional communicators, we were fired up to make great work for this worthy cause. We start off with a meeting with the clients to discuss the major parameters of the project, project goals, narrow down the key target audience, explain the production processes and limitations of the video. After a few days of brainstorming, the director and concept artist come up with several video concepts. These show different ways how we intend to engage the students and communicate who qualifies for the fund and how easy it is to get it. Joanna and Bee Tin decide on a concept about Jun Jia (Mike), an ITE design student whose life slowly spirals out of control when he tries to juggle school work, part time work and project work all at the same time. 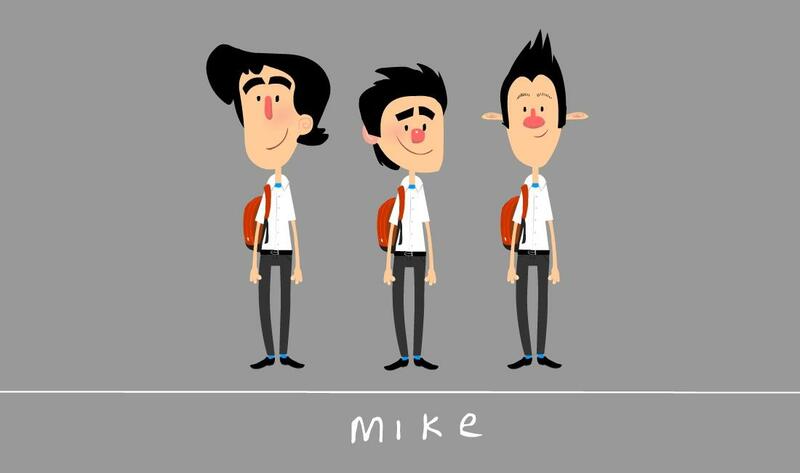 Several character designs were pitched to the ITE team based on previously agreed video references. Joanna and Bee Tin wanted characters that were “cuter” and less serious. It is always important to work in harmony with the client’s vision so another set of designs were created for the video. 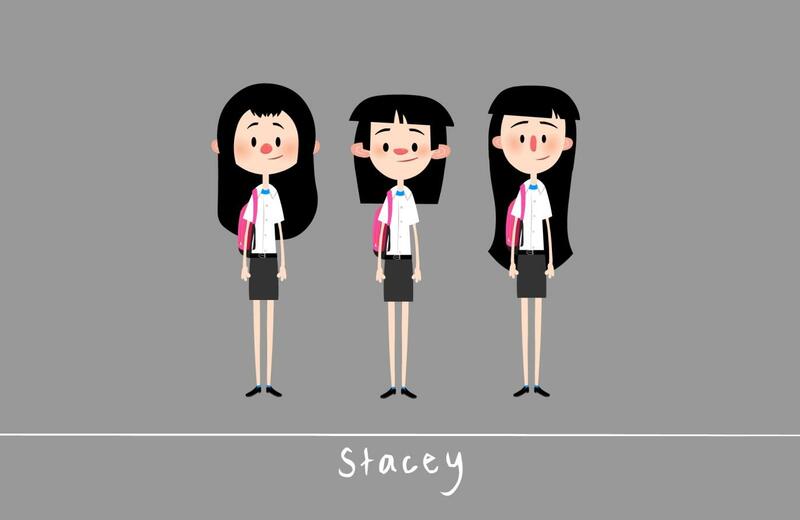 Joanna and Bee Tin loved the new character designs and it is fantastic to have clients who are passionate about their project and have a clear vision. 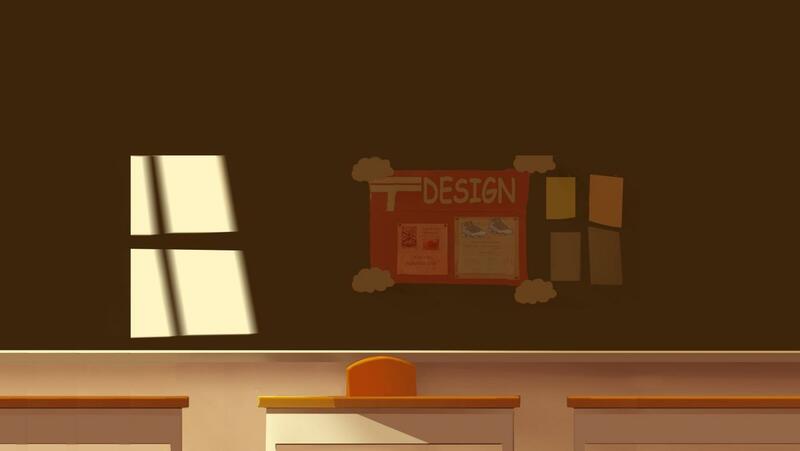 Moving along, we worked on the background design. The art director’s approach is to create a video that is light-hearted, humorous and upbeat. She concentrated on colours that were warm, upbeat and embodies an optimistic can-do attitude. Voiceover artist, Nadia lent her youthful voice to the show. Nadia was picked from a list of shortlisted actors as her tone and voice timbre best reflected the age demographic of our target audience. 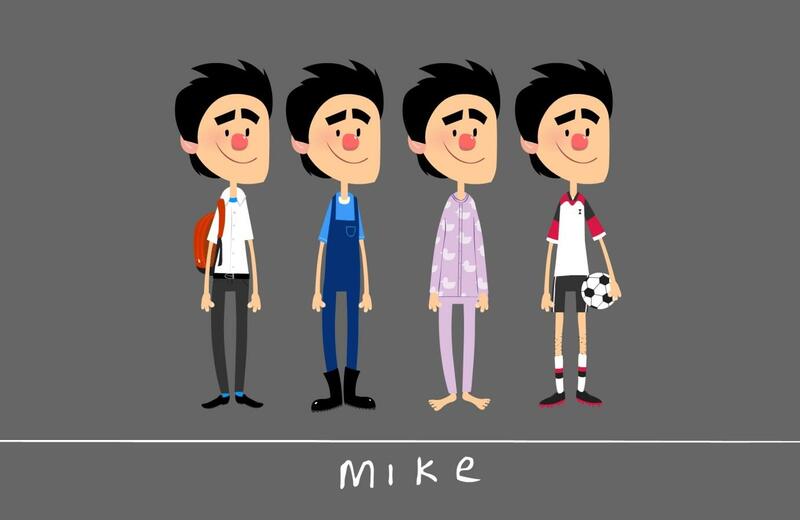 With all preproduction elements in place, the team transitioned from pre-production to the animation stage. 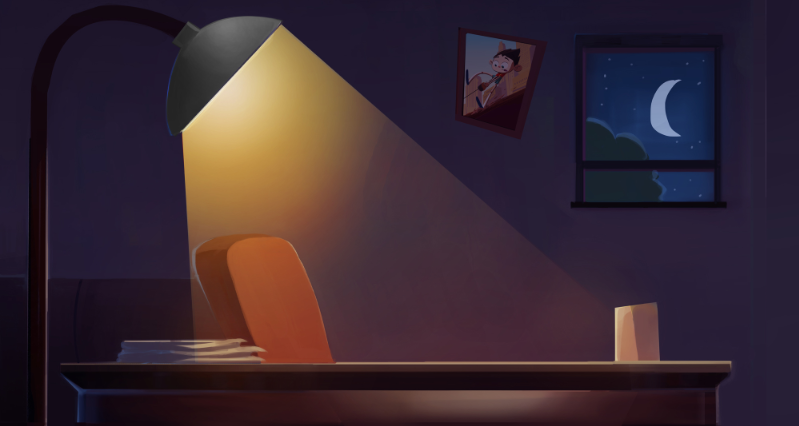 Being a video of fairly short duration, our animators worked diligently on the project for about two and a half weeks. Five weeks after the project meeting with the client, we were ready to deliver the video for premiere in time for the latest student intake for 2015. The video was screened at various venues at the ITE and exposed to new students as well as their parents. A few weeks post-premiere, Joanna shared how the number of applicants for the bursary had increased to phenomenal levels. She attributed a major part of this success to how well the video was received by the students. 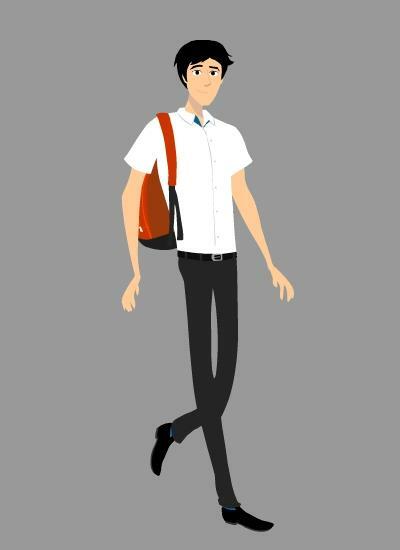 As an animation studio, we are over the moon that our little video was able to help students find financial help and that our clients got a well-crafted corporate video that was interesting and effective. 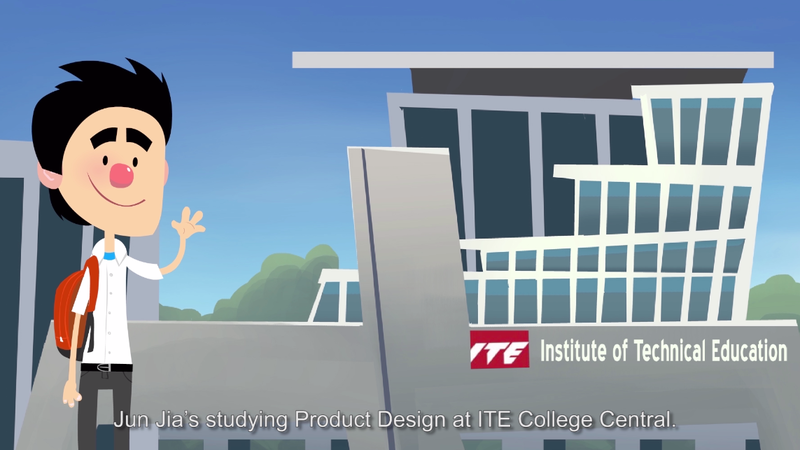 The ITE Bursary project was a pleasure to work on. It is a fine example of how productive collaboration between artists and clients can create art that make a difference in real lives. A fun little teaser created by our team. Can anyone tell what it is ? More action coming up…. Who still remember Singa? For those growing up in the 80s/90s might remember that good old Singa. For those who might not have the chance to know Singa or forgotten, this is a new animation commissioned by the kind folks at SKM. The aim is to reintroduce Singa to a new generation of audience. Welcome to Kindsville, a colourful town which never rains and never gets dark. Join Singa and his friends as they learn new lessons about kindness and graciousness from each other with each new day. Nothing makes them happier than to see how a compassionate act can brighten another’s day. Whether it is to greet others with a cheerful smile or to go the extra mile to help someone else, the Singas believe that no kind act is too small or insignificant. 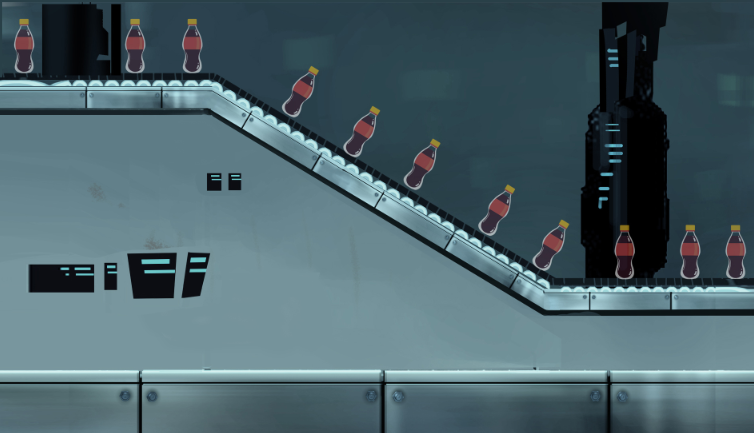 Operation M.A.C.E builds upon a story that is set in a futuristic Singapore that has been invaded by a race of aliens resembling Aedes mosquitoes. Known as Mosqueros, they invade planets for food and breeding sources.To deal with this threat, a M.A.C.E agency is set up where M.A.C.E agents are sent out to eliminate the monsters.